These are 100 percent accurate short-term and long-term grades for every major move of the new league year. It’s the most wonderful time of the year: NFL free agency. We’ve already seen a few blockbuster moves unfold to kick off the new league year, which doesn’t begin until March 13. Antonio Brown was traded, not to the Bills but to the Raiders. The Ravens sent Joe Flacco to the Broncos, which gave the latter the space to trade Case Keenum to Washington. Those will all become official Wednesday. The legal tampering period starts on March 11, so expect a few more free agent signings and trades to leak beforehand. As the rest roll in, we’ll be grading each move by two criteria: how good it is in the short term and in the long term. Our grades will surely be 100 percent correct. After all, we are omnipotent and can predict the future here at SB Nation. Trust us with your free agency needs. We’ll be updating this list with grades as we move throughout the offseason. The newest signings will be on the top of the page. After cutting Justin Houston and trading Dee Ford to the 49ers, the Chiefs desperately needed bodies at defensive end before the NFL Draft. They found a solid player on the trading block in Browns defensive end Emmanuel Ogbah. Ogbah became expendable for the Browns after they traded for Olivier Vernon from the Giants. The Browns needed a safety after trading away Jabrill Peppers and waiving Derrick Kindred and it looks like they found that guy in Eric Murray. Murray played about 60% of the snaps for the Chiefs last year and recorded 55 tackles and 1 interception. This seems like a solid deal for both sides. Each team got a starter at a position of need that isn’t costly considering both players are still on their rookie deals. The Colts added to their pass rush by signing longtime Chiefs edge rusher Justin Houston to a two year deal worth $24 million. Houston isn’t quite as dominant as he was in the past, but he’s not completely washed up by any stretch. Houston had 9 sacks and was the 14th ranked edge defender in the league according to Pro Football Focus. Houston can immediately be a positive presence for a Colts defense that could use some juice off the edge. He should be able to help them improve their pass rush and not be so reliant on blitzes from Darius Leonard. Great signing. After trading Ryan Tannehill to the Titans, that left the Dolphins with just Luke Falk and Jake Rudock on their QB depth chart. That made two things abundantly clear: Miami was going to sign a veteran. Enter Fitzpatrick, who has already played for the other Florida team and has played for two other AFC East teams. Plus, the two-year, $11 million deal unites him with the other Fitzmagic, Minkah Fitzpatrick. The Dolphins didn’t overpay for the 36-year-old quarterback, which is good. But the question now is what they’ll do about the future. Will they draft a QB with the 13th pick or do they plan to tank for one in 2020, such as Tua Tagovailoa? If it’s the latter, it’s a risky move, but one that might pay off in the long run. With more than $13 million in 2019 cap savings on the table for the Dolphins, parting ways with Tannehill was looking inevitable. It was a decision to the team reportedly made over a month ago. So from Miami’s perspective, it’s a win just to get anything in a deal. Granted, the Dolphins didn’t get much. They drop a round late in the draft this year and pick up a mid-round selection next year. The real win is clearing his salary. For the Titans, they get a capable backup quarterback — better than Blaine Gabbert — for the oft-injured Marcus Mariota. His lofty salary is gone too, because his contract was ripped up upon arrival and replaced with a one-year, $7 million deal. Bridgewater flirted with his hometown Miami Dolphins before deciding to stay with the Saints for another year. Not only is he good insurance for 40-year-old Drew Brees, but that’s not a bad way to make at least $7.5 million. Well, he’s no Odell Beckham Jr. If Verrett stays healthy, this could be the best free agent signing of 2019. The problem is he never stays healthy. The former Pro Bowler was a first round pick in 2014 and has only notched one season in which he’s played more than six games as a pro. He’s missed 43 games over the past three years, including the entirety of 2018. But if he’s back to full strength — just a huge, massive “if” — he’s a game-changer in the secondary. Verrett had three interceptions and 12 passes defensed in 2015, providing a defensive spark and a no-fly zone in 14 games that fall. That was enough to make the Chargers hopeful he could make good on his potential, but injuries prevented that. Now San Francisco gets to make a low risk bet on the dynamic cornerback. At only $3.6 million, it’s a reasonable wager. If he has a strong year, the Niners will have the inside tracker on keeping a Pro Bowl caliber player in town. The Packers signed Adrian Amos away from Chicago to fill the spot vacated by Clinton-Dix in last year’s trade with Washington. Now the. Bears close the loop by adding the former first round pick on a one-year “prove it” deal. Clinton-Dix is a rangy safety who can replicate much of what Amos brought to the table, but his true test at Soldier Field will be whether he’s stable enough in coverage to allow Eddie Jackson to be the freewheeling playmaker that boosted the Bears in 2018. Clinton-Dix has the talent to get there, and this single-season deal could be a major bargain for the reigning NFC North champs. Wright remains one of the final holdovers from the Legion of Boom era by staying on in Seattle with a two-year, $15 million deal. That’s a modest contract for a good-to-great player who missed 11 games last fall due to injury. Wright will be 30 this season and could be due for a decline, but a bounce-back year would make his deal one of 2019’s biggest bargains. At the very least, he’ll bring some continuity and veteran leadership to a roster that refuses to go through a rebuilding phase. 49ers head coach Kyle Shanahan was reunited with one of the key pieces of his 2016 Falcons offense when they signed Tevin Coleman to a two year deal worth $10 million. The 49ers backfield is now loaded with Coleman, Matt Breida, Raheem Mostert, and Jerick McKinnon coming off of surgery. When Coleman and Shanahan were together in 2016, Coleman averaged 13.6 yards per reception, which ranked 33rd in the league — that’s really damn good for a running back. Shanahan already knows how to use Coleman, so this should be a pretty seamless transition for the team as he gets up to speed with Jimmy Garoppolo. Derek Carr has to be happy. After they traded for Antonio Brown, the Raiders added another wide receiver by signing Tyrell Williams in free agency. Williams is a receiver that thrives on making big plays down the field, so hopefully Derek Carr will open it up and take more shots down the field than he did last year. If the Raiders can keep Carr up right, this offense has the potential to be much better than it was a year ago. Williams’ deal is four years, $44 million with $22 million guaranteed. The $11 million per year average ranks 17th in the NFL — tied with Emmanuel Sanders and Larry Fitzgerald. The Patriots are ensuring their cornerback depth ahead of the draft by re-signing Jason McCourty. McCourty had one of the key plays in Super Bowl 53 when he knocked away a surefire touchdown from Rams wide receiver Brandin Cooks. Long term grade will come when the money on the deal is announced. The Chargers needed a backup quarterback for Philip Rivers, so they went with a guy that Anthony Lynn is familiar with in Tyrod Taylor. Lynn was the offensive coordinator of the Bills in 2016 when Taylor and the Bills ranked 11th in points per game. Taylor spent most of the season on the bench last year behind Baker Mayfield. His previous success makes him one of the best backup quarterbacks in football. In the event that Rivers goes down with an injury, Taylor should be able to keep that offense competitive. Baltimore shocked the world by signing the top safety on the market in Earl Thomas to a four year deal worth $55 million with $32 million guaranteed. They needed to replace Eric Weddle, who they cut in free agency. Earl Thomas will do. Thomas is legitimately one of the best safeties in the history of the game. Since he was drafted in 2010, Thomas has 28 interceptions and 11 forced fumbles while being the leader of one of the best pass defenses we’ve seen over the past decade. Baltimore’s secondary is now absolutely loaded. Thomas will be joining Marlon Humphrey, Brandon Carr, Tony Jefferson, Tavon Young, and Jimmy Smith for what might be the best secondary in the league. This is a shrewd move by Baltimore to agree to terms with Earl Thomas just one day after the Browns traded for superstar wide receiver Odell Beckham Jr. As the Browns loaded up on pass catchers, the Ravens added one of the best defensive backs to ever play. The one red flag with this deal is that Thomas has been a bit banged up in recent seasons. Over the past three seasons, Thomas has played in 29 of 48 possible games and played in just four games last season. Giving him a four year deal is a bit of a risk, but a risk worth taking for a team that’s trying to win now and in the future with young quarterback Lamar Jackson. This move is a bit confusing. Once Lamar Jackson took over as the starting quarterback, the Ravens running game pretty much became automatic. Former undrafted running back Gus Edwards averaged 5.4 yards per carry once Jackson took over as the starting quarterback. Three years, $15 million isn’t breaking the bank by any stretch, but this move felt a little unnecessary with a deep group of backs in this year’s NFL Draft. Our long national nightmare is over. Former Steelers running back Le’Veon Bell has decided to sign with the New York Jets after holding out the entire 2018 season. His deal with the Jets is four years, $52.5 million. The Jets have now added two talented playmakers on offense in Jamison Crowder and Le’Veon Bell, which should help Sam Darnold as he enters his second season in the NFL. This will also give new head coach Adam Gase weapons to work with while he gets used to calling plays with a new team. Le’Veon received $35 million guaranteed, which is more guaranteed money than the Steelers offered him a year ago. In the short term, the Jets aren’t hurting for space, so they might as well use it on someone that will make like easier for their young quarterback. Hopefully for the Jets, Le’Veon is in good shape to attack the season. If he can get back to being an All-Pro running back that positively affect the passing game, this will be a great addition for their offense. Running backs typically don’t get paid like this, but Bell is a special player. The Titans lost Brian Orakpo to retirement and felt the need to add a pass rusher to pair with Harold Landry. Wake, 37 years old, was given a three year deal by the Titans worth $23 million with $10 million guaranteed. Even though Wake is 37, he can still bring some pass rush. He had six sacks and 17 quarterback hits this past season. Obviously, the risk here is giving a multiyear deal to a player that could dramatically fall off at any point. Wake will be 40 if he makes it through the end of this deal. In another blockbuster trade, the 49ers grabbed Pro Bowl pass rusher Dee Ford from the Kansas City Chiefs. The 49ers then gave Dee Ford a five year, $87.5 million extension. Ford will instantly become the 49ers best pass rusher off the edge. Ford had 13 sacks and 29 quarterback hits in a career year during the 2018 season. Ford will turn 28 before the start of the season, but he should still have a lot of good years ahead of him. If Solomon Thomas can take the next step and become the impact defensive lineman that the 49ers drafted third overall, then San Francisco will have a hellacious pass rush trio with Thomas, Ford, and DeForest Buckner. It’s a bit strange that the Chiefs are trading away Dee Ford after cutting Justin Houston. They don’t really have anybody who can rush the passer now outside of Chris Jones. It actually happened! The Giants traded their young, superstar wide receiver Odell Beckham to the Browns for picks and safety Jabrill Peppers in a blockbuster trade. Baker Mayfield has to be thrilled right now. Odell Beckham, Jarvis Landry, David Njoku, Rashard Higgins, and Antonio Callaway is one HELL of a group of pass catchers. Oh yea, and throw in Nick Chubb and Duke Johnson into the mix too. Cleveland has an offense that’s ready to erupt and take over the AFC North this year. ALSO, Cleveland gets to keep all of their 2020 draft picks. What a damn deal for the Browns. The Giants’ plan here is a little bit confusing. They just gave Beckham a big deal last season and are now dealing him for picks, while incurring a dead cap hit. Eli Manning hasn’t played well over the past few seasons, so getting rid of his top receiving targets — who is among the elite of the elite at his position — doesn’t really make much sense. You also have to remember that the Giants will be breaking in a new quarterback in the very new future...have to think having a player like Odell Beckham would help that transition. Carolina needed a center after Ryan Kalil retired and they found a nice upgrade in former Broncos center Matt Paradis. Paradis, who will turn 30 during the season, has dealt with injuries over the past few seasons, but is still a very effective blocker when he’s on the field. Getting Paradis on a three year, $27 million deal is a good get for the Panthers. The guaranteed money hasn’t been released yet, but the Panthers have probably structured it in a way where they can get out of it easily. With the Titans letting starting guard Quinton Spain test the free agent market, they had a void to fill at left guard. They filled that spot by signing Rams left guard Rodger Saffold to a four year deal worth $44 million with $22.5 million guaranteed. Saffold is a talented guard that really hit his stride over the past two years with Sean McVay pulling the string for the Rams’ offense. Saffold should immediately upgrade the Titans offensive line, but giving out a four year deal to a 31-year old guard with injury issues is a pretty big gamble. Houston’s revamping of their secondary continues. After they signed safety Tashaun Gipson to a deal, they dipped their toes back into the free agent market and signed Broncos cornerback Bradley Roby. The deal is for one year and has a maximum value of $10 million. Roby, a former first round pick, is a talented cornerback that’s trying to rebuild his market after a down year in 2018. The Texans need defensive backs after losing Kareem Jackson and Tyrann Mathieu to free agency. This deal feels like a win for both sides. Roby bet on himself to ball out and if he does, he’ll be able to cash in during next year’s free agency period — and the Texans would have gotten a year of strong cornerback play. If he doesn’t, it’s not really a bad gamble for the Texans to sign a talented player to a one year “prove it” deal at a position of need. Buffalo’s mission to upgrade the talent around Josh Allen continues. Nsekhe is the second offensive line upgrade the Bills added along with Mitch Morse. Nsekhe has long been seen as one of the top backup offensive linemen in the league. Whenever Washington was without Trent Williams or Morgan Moses, Nsekhe had no problem filling in for them for games at a time. If Nsekhe can continue to play at the level he did as a part time starter, then the Bills will have found a valuable piece along their offensive line. It’s reportedly a two year, $14.5 million dollar deal with $7.7 million guaranteed. Great signing for both parties. Buffalo double dipped at receiver to start off the free agency period. They signed former Cowboys slot receiver Cole Beasley to a four year, $29 million dollar deal. That’s a hefty amount of money for a receiver that has never had a 1000 yard season. Still, it’s a good deal in the short term for the Bills. They’ve now really upgraded their receiver room with John Brown and Cole Beasley. At the same time, it’s a big odd to lock up a long term deal to a receiver whose production hasn’t really been there. We got the first big twist of free agency when free agent linebacker Anthony Barr reversed course on his decision to sign with the New York Jets and stayed home with the Minnesota Vikings. Barr is an extremely talented player that does a bit of everything for Mike Zimmer’s defense. 2018 was a bit of a down year for him, but he’s still young enough (27 by the start of the season) to get the ship righted for the rest of his career. Barr’s deal with the Vikings is five years, $67.5 million with $33 million guaranteed. Just a few years ago, John Brown looked like he was going to become a star wide receiver for the Arizona Cardinals. In 2015, Brown had a career high 1003 yards and seven touchdowns in his second year in the league. Since then, Brown has dealt with injuries, but he had a nice bounce back season for the Ravens, totaling 715 receiving yards and five touchdowns. Brown never really developed a chemistry with Ravens quarterback Lamar Jackson, but he still showed that he’s a talented receiver that can play a big role in an offense. The Bills desperately needed to upgrade their wide receivers for quarterback Josh Allen — John Brown is a great start. His deal is reportedly for three years, $27 million with $10.1 million guaranteed. With Mark Ingram headed out the door, the Saints opted to sign a veteran running back for a cheap deal to back up Alvin Kamara. Latavius Murray has spent time in Oakland and Minnesota before signing this deal with the Saints. Murray didn’t have a great season with the Vikings in 2018, he averaged 4.1 yards per carry, but he’ll see a massive boost in offensive line talent in New Orleans compared to what he saw in Minnesota. This is a solid deal for the Saints who likely wouldn’t have been able to address their running back need until the third day of the draft, considering they barely have any draft picks. Murray’s deal is four years, worth $14.4 million. Arizona wasn’t expected to re-sign former first round linebacker Deone Buccanon, so they dipped their feet into the free agency market and signed former Eagles linebacker Jordan Hicks. When healthy, Hicks legitimately has the ability to be one of the best linebackers in the league. Unfortunately for Hicks, health has eluded him during his four year career. Hicks has only made it through a full 16-game season once, which came in 2016. Over the past two years, Hicks has missed 14 games and he missed eight games during his rookie season in 2015. Still, the Cardinals didn’t throw too much guaranteed money at him with only $12 million of his $36 million guaranteed. If he doesn’t pan out, it won’t be a huge issue for the team and their future plans. If he does, they got a massive upgrade at inside linebacker to hold down the fort for Vance Joseph’s new defense. One area the Packers had to address this offseason was the offensive line. They got a solid, versatile player in former Dolphins and Broncos offensive linemen Billy Turner. Turner will compete with Justin McCray and Lane Taylor for a starting guard spot. Turner received a four year, $28 million deal with $11 million guaranteed. He’ll be starting somewhere, it just needs to be determined whether that’s left or right guard. Competition never hurt anybody. The Chargers have two young linebackers in Jatavis Brown and Denzel Perryman, but decided to add some competition by signing veteran linebacker Thomas Davis to a two year deal. Davis isn’t as spry as he used to be, but can still add value to a defense that wants an athletic linebacker to rotate into their defense. New Orleans doesn’t have a ton of cap space to address their needs in free agency, so they opted to take care of an in-house need by re-signing Teddy Bridgewater to backup Drew Brees. The deal makes sense on both ends. New Orleans traded a third round pick for Bridgewater during the preseason and he likely wasn’t going to get a big enough deal to net them a third round compensatory pick in the 2020 NFL Draft. Bridgewater turned down a bigger deal from the Dolphins to stay in an environment that he’s grown to enjoy and still has a legitimate shot to be the Saints’ starting quarterback once Brees hangs up the cleats in a few seasons. The Packers spending spree continues with the addition of Preston Smith. Preston Smith will join Za’Darius Smith as Green Bay tries to revamp it’s pass rush with new blood. Looking at the sack totals doesn’t tell the whole story with Preston Smith. He may have only had four sacks in 2018, but this is a guy that can consistently get pressure on the quarterback. Between Preston Smith, Za’Darius Smith, Kenny Clark, Mike Daniels, and 2018 breakout player Kyler Fackrell, the Packers will be able to get after the quarterback in 2019. The move also gives Green Bay the latitude to release Nick Perry, who failed to live up to his 11-sack 2016 over the past two seasons. Perry was due a $4.8m roster bonus by the end of the week, but was cut shortly after Za’Darius Smith and Preston Smith agreed to terms. Smith’s four year deal with the Packers will bring him $13 million dollars annually, making him the 11th highest paid edge defender on the market — for now. With Tyrann Mathieu leaving for the Kansas City Chiefs, the Texans had a big hole at safety. They replaced Mathieu by signing former Jaguars safety Tashaun Gipson. Gipson was apart of the Jaguars vaunted 2017 defense that sprung them to the AFC Championship. Gipson is a solid safety that, at his peak, is one of the few guys that can effectively play single high safety over the top of the defense. He’s a different type of safety compared to Mathieu, who is more of a slot defender, but still a player that can add value to the Texans defense. Green Bay added a talented safety to their defensive backfield by signing Adrian Amos for four years and a relatively inexpensive $37 million. Over the past three years, Amos has graded out as Pro Football Focus’ third ranked safety behind Earl Thomas and Harrison Smith — that’s pretty good company to be in. By signing Amos, the Packers were able to take away a strong defensive piece from the Bears while upgrading their own defense. The money hasn’t been released yet, but Amos a versatile safety that has the chance to shine in Mike Pettine’s defense. Amos is a similar player to Ha Ha Clinton-Dix, who played well in Wisconsin but ultimately wore out his welcome and was shipped off to Washington. He also excelled under defensive coordinator Vic Fangio, who tends to get more out of players like Amos than other teams could. There’s a chance Amos’ play slips now that he’s leaving Chicago, but the Packers have to be happy to have filled a need with a young playmaker here. The Packers dropped their first big bag of the offseason by giving free agent pass rusher Za’Darius Smith a deal that will pay him $16 million per year. That’s a lot of money for a guy that just had his first breakout season, but the Packers needed another edge rusher on their defense to alleviate some pressure on a young secondary. If Smith can replicate his 2018 breakout season with 8.5 sacks and 25 quarterback hits, then this move will be well worth it. There just has to be a small feeling of buyer beware here. The Browns continued to beef up their defensive line with the addition of Sheldon Richardson. Richardson will now join Olivier Vernon as recent offseason additions for the Browns that will help them get after the quarterback. Richardson had 4.5 sacks and 16 quarterback hits for the Vikings last season. The 16 quarterback hits were the second highest of his career. Three years, $39 million might seem like a lot for Richardson, but impact defensive linemen don’t come at a discount anymore. Myles Garrett, Sheldon Richardson, Larry Ogunjobi, Genard Avery, Olivier Vernon, and Emmanuel Ogbah will be able to wreak havoc. Also, Richardson just turned 28-years old. This is a fantastic signing by the Browns. Remember when Kwon Alexander reset the inside linebacker market Monday? One day later, Mosley is getting $3.5 million more annually than that. The former Raven’s five year, $85m pact with New York makes him the league’s third highest-paid linebacker and will pay him $4.7m more each year than Luke Kuechly gets. And while Mosley is a stout interior presence who can make tackles from sideline to sideline, the Jets are paying elite pass rusher money for a guy with 1.5 sacks over the last three seasons. The Jets needed to make a splash to put the Todd Bowles era in their rear view. Dropping a record-setting contract to snag a perennial Pro Bowler is one way to do it. Still. That’s so, so, so much money for an inside linebacker. With nearly $81 million in salary cap space this spring, this is a splurge the club can afford in 2019. The question is whether it’ll keep New York from fixing the holes in its foundering offense this spring and beyond. A year after getting the franchise tag from the Rams, Joyner has proven himself as a reliable safety and will join the Raiders on a four-year deal. The numbers aren’t out yet, but provided he’s getting paid in the upper-half of safeties, it will be a good deal for Oakland. He pairs nicely with Karl Joseph and will probably have more freedom to make plays on the ball in the air while Joseph comes forward in run support and pass-rushing. At 28 years old, there’s still a lot of football left in him. The Colts added big-bodied receiver to play with Andrew Luck by signing former Panthers receiver Devin Funchess to a one-year deal. This is a great deal for both the Colts and Funchess. The Colts get a young, talented receiver with upside and Funchess gets a chance to revive his chances for a big deal next offseason after dealing with an injury-plagued 2018 season. Funchess is still only 24 years old, so him having a breakout season with one of the best quarterbacks in the league isn’t out of the question. Could this signal the end of the Eric Berry era in Kansas City? The Chiefs add a high-profile name to their secondary in Mathieu, but his three-year, $42 million deal eats up a big chunk of space in what had been a perilous cap situation to begin with. Releasing Berry would only provide about $1.5 million of room, so it seems more likely Mathieu is more an expensive insurance policy for an all-star defender who has only played three regular season games the past two years. In that case, it’s a pretty great move, even if it hamstrings the team’s moves going forward. Mathieu played at a high level with Houston last fall, providing solid coverage and dynamic tackling across the field — including a career-high three sacks. He’ll only be 27 years old in 2019, and his presence could give Kansas City the centerfield coverage that mitigates the departures of Justin Houston (released) and Dee Ford (franchise, could be traded) from the club’s pass rush. If Mathieu and Berry are each healthy and playing their best, the Chiefs would have the league’s top safety tandem. No matter what you think of Josh Allen’s rookie year, one thing is undeniably true: He didn’t have a lot of help on offense. The Bills have taken a few steps to improve his supporting cast in free agency and signing former Chiefs center Mitch Morse is the next step. Morse is a great player when he’s on the field, but has just played in 18 regular season games for the Chiefs over the past two seasons. Healthy or not, Morse is a gigantic upgrade for the Bills and will provide a steady blocker in the run and pass game. The Bills made Morse the highest-paid center the league with a four-year, $44 million deal. That’s a big risk considering his recent injury history, but if he’s healthy he should live up to that deal. Tennessee added former Bucs slot receiver Adam Humphries on a four-year, $36 million deal. That seems a bit high for a slot receiver who has yet to top 1,000 yards in a year, but it’s not hard to see why the Titans felt like they had to make this move. Tennessee has one year left to make sure Marcus Mariota is the franchise quarterback of the future — surrounding him with as many weapons as possible gives him the best chance at success. An average of $9 million per year seems like a lot, but the long term evaluation of Mariota is what’s most important here. Tyler Kroft signed a three-year, $21 million deal with the Buffalo Bills after posting four catches for 36 yards in five games last season for the Bengals. Kroft missed the majority of the season with a broken foot, so Buffalo giving out this deal is a bit strange. They did need to replace Charles Clay, but it doesn’t really make sense to replace him in this manner. DeSean Jackson is back with the Eagles! The Bucs, who desperately needed cap space (just $1.4 million at the time of the trade according to Spotrac), sent Jackson to the Eagles. The trade will free up $10 million worth of cap space for the Bucs, with no dead money incurred. This will also allow Bucs receiver Chris Godwin to fully thrive across from Mike Evans. Jackson will provide an immediate deep threat for Eagles quarterback Carson Wentz and should form a great receiver duo with Alshon Jeffery. The last time DeSean Jackson was an Eagle, he had 1,332 yards and nine touchdowns in 2013. The nine touchdowns were a career high for Jackson, who was originally drafted by the Eagles back in 2008. Jackson only has one year left on his deal, so if the trade doesn’t work out for the Eagles, there isn’t any real repercussions. Jacksonville just slapped a band-aid on their quarterback problem by signing former Super Bowl MVP Nick Foles to a four-year, $88 million deal. Jacksonville just decided that paying Foles $50 million guaranteed was a better option than Dwayne Haskins or Kyler Murray in the draft. Foles’ track record since his Super Bowl victory against the Patriots in Super Bowl 52 isn’t stellar. Foles had an adjusted yards per attempt mark of 7.0 last season — the league average was 7.3. Even leading into the playoff run that the Eagles had in 2017, Foles had an adjusted yards per attempt of 5.4, which is on par with what Josh Allen did in his rookie season for the Bills. There is some familiarity with Jaguars offensive coordinator John DeFilippo, who was Foles’ quarterback coach with the Eagles. Still, that doesn’t change the fact that the Jaguars just gave big money to a quarterback that has largely been below average outside his 2013 season and the 2017 playoffs. In fact, Foles’ numbers don’t even differ that much from Blake Bortles’ regular season numbers over the past two seasons. Really strange move by the Jaguars. Frank Gore will never die. The Bills signed Frank Gore to a one-year, $2 million deal, giving themselves the oldest running back group in the league with LeSean McCoy and Chris Ivory on the roster — for now. Oddly enough, Gore had the fifth-highest yards per carry of his career last year with 4.6 YPC. This shouldn’t stop the team from adding a young running back in the draft. The Jets have one major task to accomplish this offseason: make life easier for their young quarterback Sam Darnold. Jamison Crowder will be joining Robby Anderson and Quincy Enunwa at receiver, giving the Jets a very solid trio of receivers. Despite playing in just nine games, Crowder led Washington in touchdowns and was second in overall receiving yards. Three years, $28 million may seem like a lot for Crowder, but if he and Darnold can mesh well it won’t matter too much. Hart played himself up from a seventh-round pick to a capable, if not super impressive, starting tackle. He impressed the Bengals enough to turn last offseason’s one-year deal into a three year, $21 million+ contract in Cincinnati. That’s top-10 right tackle money for a guy who might only be top 30. It’s a very “same ol’ Bengals” move for a team trying to escape the long shadow of the Marvin Lewis era — but Hart still has some room to improve and live up to his big contract. The opening of the legal tampering period has been a busy one for the Lions. After signing Justin Coleman and Danny Amendola, the Lions struck again by signing the top defensive end on the market, Trey Flowers. Flowers spent the last four years of his career with the Patriots. There’s some familiarity between Flowers and Lions head coach Matt Patricia, who was previously the defensive coordinator in New England. That should help Flowers immediately get up to speed on his new team. Detroit needed to add a bonafide edge defender with Ezekiel Ansah slated to become a free agent. Flowers isn’t as dominant a player as Khalil Mack or Von Miller, but he’s certainly a capable player in his own right. Flowers’ deal is five years, $90 million with $56 million guaranteed. The former fourth round pick cashed in big time. Washington broke the bank to sign former Giants safety Landon Collins to a six-year, $84 million deal. During his best season in 2016, Collins was a first-team All-Pro safety, but he hasn’t quite hit that level of play since then. From a talent perspective, Collins will surely be an upgrade over what they had in Ha Ha Clinton-Dix and Deshazor Everett last season. From a monetary perspective, it’s a bit confusing as to why a team with big time uncertainty headed into the season is dropping big time money on a safety that primarily plays in the box. The Lions needed a boost to their secondary and they got in Justin Coleman, who primarily plays from the slot. According to Sports Info Solutions, Coleman allowed just 5.21 yards per attempt on passes that targeted the slot, which was second on the team behind Tre Flowers. Detroit finished dead last in the league allowing 9.52 yards per attempt on slot targets. Pass defense reigns supreme and the Lions got a talented cornerback that fills a position of need. Alexander’s torn ACL didn’t impact his value as a free agent; he signed with the 49ers for four years and $54 million despite missing 10 games last fall with the Buccaneers. Missed games have been a trend in his budding NFL career; he’s missed 18 career contests due to injury or a 2015 violation of the league’s PED policy. Alexander is a productive inside defender who makes a ton of tackles and gets from sideline to sideline in a hurry, but he’s not much of a pass rusher (seven total sacks over four seasons). Despite that, his $13.5 million salary pays him $1.2 million more annually than Luke Kuechly. He’ll make more per year than all but six linebackers in the league. That’s a lot to pay for someone who has missed 14 games the past two seasons. If he’s anything less than Kuechly 2.0, this is a pretty expensive overpay — though the Niners can afford it. Buffalo’s passing defense hasn’t languished after losing Stephon Gilmore in free agency. Tre’Davious White has been one of the league’s brightest young cornerbacks and Micah Hyde continues to be one of the league’s most versatile and underrated players. Adding former first-round pick Johnson as a bookend for White could pay off, but Johnson has been anything but reliable in his four seasons as a pro. He’s only started 18 games since being drafted 16th overall in 2015. Will he play well enough to turn his potential into a star turn in western New York. And if he does, will he stay with one of the league’s most maligned franchises after his prove-it deal runs out? Johnson could be found money for the Bills, but he’ll have to play a full season before anyone even begins to consider him a true CB1. A massive man (6’8, 350 pounds) will sign a massive contract in Oakland once free agency officially begins, as Brown’s four-year, $66 million deal will give him the largest annual salary of any blocker in league history. Brown turned a one-year stint protecting Tom Brady’s blindside into a mega-deal, but his cohesive play in the postseason helped over up a mistake-riddled regular season. Brown was flagged for holding seven times last fall and committed a total of 10 penalties, numbers that undercut his efficiency on the edge. Maybe that was part of his adjustment period from right to left tackle, or maybe it’s a sign he’s more easily beaten by powerful pass rushers than the Raiders would like. Also, this is so, so much money — and Nate Solder’s uneven 2018 after leaving New England suggests there’s going to be an adjustment period after leaving Pats’ o-line coach Dante Scarnecchia. Philadelphia needed another defensive tackle next to Fletcher Cox after they decided not to pick up Tim Jernigan’s option for this season. They filled that void by signing Malik Jackson, who was recently released by the Jacksonville Jaguars. Jackson had a bit of a down year with only 3.5 sacks, but quarterback hits (12) and tackles for loss (7) were still in line with his career averages. If he can get back to bringing down the quarterback, he’ll end up justifying the three year, $30 million deal Philadelphia just gave him — playing next to a dominant presence like Cox should help. Jackson won’t turn 30 until after the regular season, so he still might have a few good years left. The Lions needed a reliable possession receiver behind Marvin Jones and Kenny Golladay, and Amendola, who had 59 catches, 575 yards, and a 74.7 percent catch rate fits the bill. He’s also going to be 34 years old, averaged fewer than 10 yards per reception, and found the end zone only once in his lone year with Miami, so it’s not exactly an impact signing. After signing an entirely too expensive two-year, $12 million deal with the Dolphins he’s reunited with former assistant coach Matt Patricia for one year and up to $5.75 million. That’s still top 35 money for a player who might not be a top 75 receiver. Rams re-sign: Edge rusher Dante Fowler Jr.
Fowler played the best football of his career after coming to LA from Jacksonville midway through the season. That was especially true in the playoffs, when he was instrumental to getting the Rams to the Super Bowl with his disruptive play. The Rams get a chance to see if Fowler can be that kind of force on a consistent basis, keeping him in LA on a one-year “prove it” deal. The 26-year-old Hankins was one of the rare reliable defensive players the Raiders had last season — and he didn’t join the team until Week 2. He started 14 games, totaling 36 tackles, four tackles for loss, and two fumble recoveries. The Raiders retained him on a two-year deal rather than let him test free agency. The Raiders have holes all over their roster. One position where they were mostly set was at guard. That’s no longer the case now that they sent former All-Pro guard Kelechi Osemele to the Jets. The Raiders saved $10.2 million in cap space, but they weren’t hurting in that department anyway. Meanwhile, the Jets fill a position of need during a free agency year that’s light on guards. Osemele has dealt with injuries recently, but if he can stay healthy, he’s an undoubtedly an upgrade for their OL. 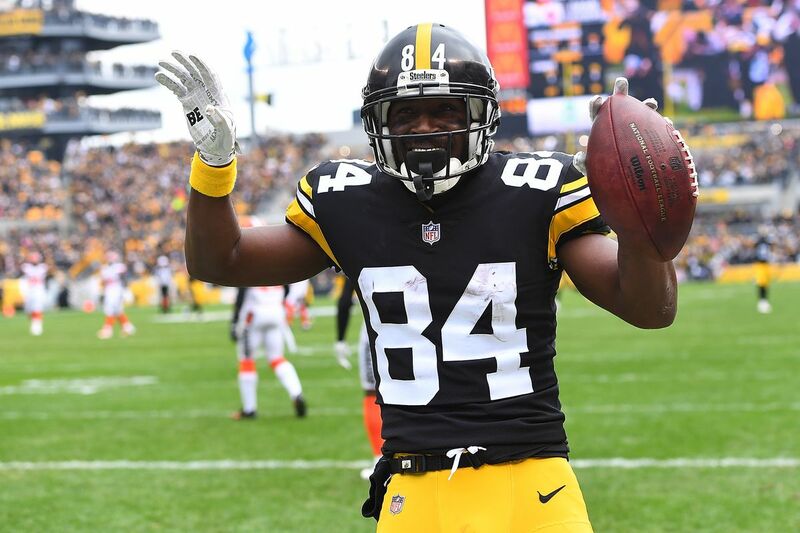 For the cost of $21.1 million in dead cap space this year, the Steelers got rid of one of the best receivers in the NFL (and their biggest headache). In return, they couldn’t even get a first-round pick. The Raiders had the cap space to give Brown the raise he wanted, and he gives them a major offensive weapon they’ve been lacking. Oh, and they still have all three first-round picks this year. Brown will turn 31 this summer and though he hasn’t shown signs of regressing, there’s no guarantee he’ll be the same dangerous player with Derek Carr throwing him the ball. The Steelers also feel optimistic about JuJu Smith-Schuster as their new No. 1 — a sentiment shared by Smith-Schuster himself. A day after his release from the Jaguars, Hyde signed a one-year deal with the Chiefs to serve as a bruising complement to Damien Williams. 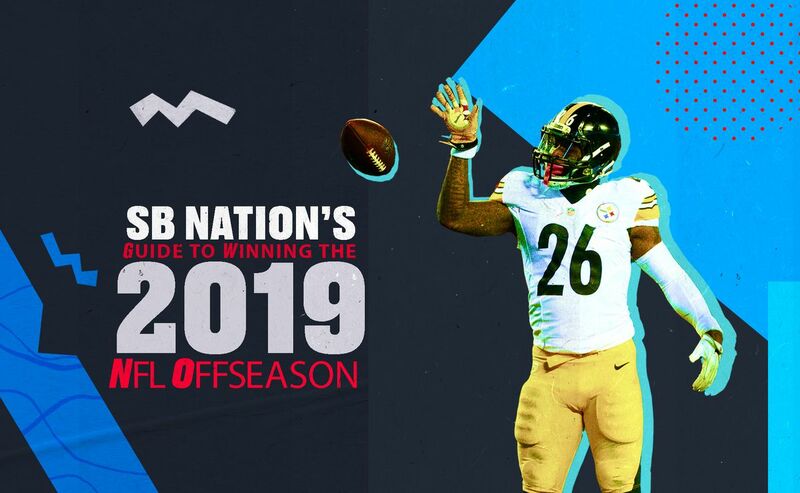 Despite a down year split between Cleveland and Jacksonville, Hyde — who rushed for 938 yards and eight touchdowns in 2017 — could bounce back in Kansas City, thanks to the wide-open offense led by MVP Patrick Mahomes. The veteran Allen was released by the Patriots after two seasons (and just one touchdown). He quickly reunited with Brian Flores and Chad O’Shea in Miami on a two-year deal. There, he’ll have a role as a blocking tight end and mentor to second-year TE Mike Gesicki. Bennett was terrific in his first (and only) season with the Eagles, tallying 30 QB hits, 15 tackles for loss, nine sacks, and two forced fumbles. He’s also 33 and wanted a raise, and the Eagles couldn’t really afford to give him one. So they traded him ... to the Patriots. Those fools. The Patriots had a hole to fill at pass rusher with Trey Flowers set to hit free agency, and when it comes to trades, they’re pretty much the perfect student who gets an automatic A. The win-win for the Rams is that Weddle is both cheaper and, frankly, better than impending free agent Lamarcus Joyner. At least, he has been. The danger is that Weddle is now 34 and about to begin his 13th season in the NFL. There’s a very real risk that Weddle’s play is about to fall off a cliff, leaving the Rams with a washed player in the secondary with an average salary of just over $5 million. Weddle hasn’t shown signs of slowing, though, so the Rams are taking a worthwhile risk. Arizona might have found its starting right tackle for the 2019 season. When he’s healthy, Marcus Gilbert is one of the elite offensive tackles in the game. The problem is that he’s struggled a lot with injuries over the past two years. Gilbert has played in only 12 games over the last two seasons as he’s dealt with knee and ankle injuries. The Steelers probably felt that it was time for a fresh set of legs on the offensive line and just wanted to see what they could get for Gilbert. This is a nice trade for the Cardinals. It’s a low-risk, high-reward move for a team that had an utterly abysmal offensive line a season ago. If it doesn’t work out, then no harm. New York trims some payroll by offloading the costly Vernon, sparing him from Year 3 of its rolling rebuild. The Giants also get a powerful veteran interior lineman who will help stabilize one of the league’s least consistent units. Zeitler will help keep Eli Manning upright in what may be his final season. More importantly, he’ll clear space for Saquon Barkley to thrive. Meanwhile, the Browns’ defense gets a bit scarier by adding a player with 22 sacks in his last 37 games. Vernon will provide a powerful edge counterpunch across from Myles Garrett, giving Cleveland yet another weapon in a developing core. Trading Zeitler and his eight-figure salary makes sense with 2018 second-round pick Austin Corbett waiting in the wings, and the cost to swap in Vernon only came out to roughly $4 million more for a team that’s absolutely loaded with cap space. John Elway got his latest tall passer, landing on 6’6 former Super Bowl MVP Flacco in his never-ending quest to find Peyton Manning’s successor. In the process, he managed to pick up a veteran quarterback somehow worse than the one he already had on the roster. Flacco will hopefully be a functional starter for the Broncos, but this trade really feels like a lateral move for them considering Flacco’s recent history. Trading away a fourth-round pick for what he’s produced over the last few years seems a bit silly. Denver is still pretty far away from competing with the Chargers and Chiefs on offense. Luckily, they don’t owe Flacco any guaranteed money so it won’t hinder their cap if they decide to move on from him next year. Tampa Bay locks down some stability at the most important part of its offensive line by retaining Smith, who made all 64 starts for the club at left tackle the past four years. This Article has a component height of 302. The sidebar size is long.